All homeowners normally have a policy to cover their homes - homeowners insurance - and make the assumption that it covers everything in the home. The reality is, most homeowners policies limit coverage for personal valuables, and you could fall far short of replacement value if that new diamond ring is lost or stolen. Mosaic Insurance recommends that you review your Prescott homeowners policy to make sure that you understand the coverage you have. Homeowners insurance generally covers your possessions up to 50% of your total coverage. So if you have a $300,000 policy on the structure, your home furnishings are insured for as much as $150,000. Generally, homeowners policies don't set limits on personal electronic items (other than your overall possessions limit). But make sure that your policy includes replacement-value coverage, which will pay for you to replace your item with a new one, and not actual cash-value coverage, which will leave you scrounging to buy a used PC or TV with the money you receive. However, most policies also place limits on specific kinds of items -- promising to pay a maximum of, say, $1,000 to $2,500 for all of your jewelry in the event of damage or theft. Other categories of personal possessions that usually have reimbursement limits include silver flatware, firearms, coins, stamps and furs. Look at the "contents and additional coverage" section of your policy for the details for your specific policy. 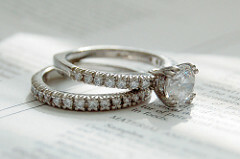 Accidental loss is generally not covered, so if you lose your engagement ring, you're out of luck. To raise your coverage limit and ensure that you're protected in case of loss as well as theft, ask to add a rider to your policy or to "schedule" the item. You will probably need a written appraisal, although a detailed receipt may suffice. Once you set a value and schedule the item, you're covered for the full amount if it is lost, stolen or destroyed. Additional coverage for scheduled items is normally pretty inexpensive. You should revisit your coverage levels frequently - every three years at least (yearly if you can). If you don’t have homeowners insurance in Prescott or would like to have a professional review your policy with you, Mosaic Insurance can assist you to make sure that all of your valuables are covered. Just give us a call at 928-458-7374 to speak with one of our insurance experts.